Danielle here at Long Now sent me this interesting BBC piece on how a group at the University of Wisconsin – Madison is looking at mechanical computing at the nano scale in order to avoid the thermal limits being approached in CMOS circuitry. 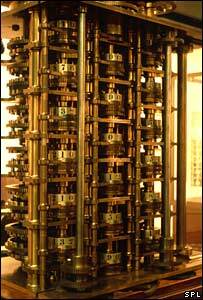 They claim to be inspired by Babbage’s decimal computing tech. It makes me wonder if Danny Hillis’ binary mechanical adder would be useful at the nano scale.